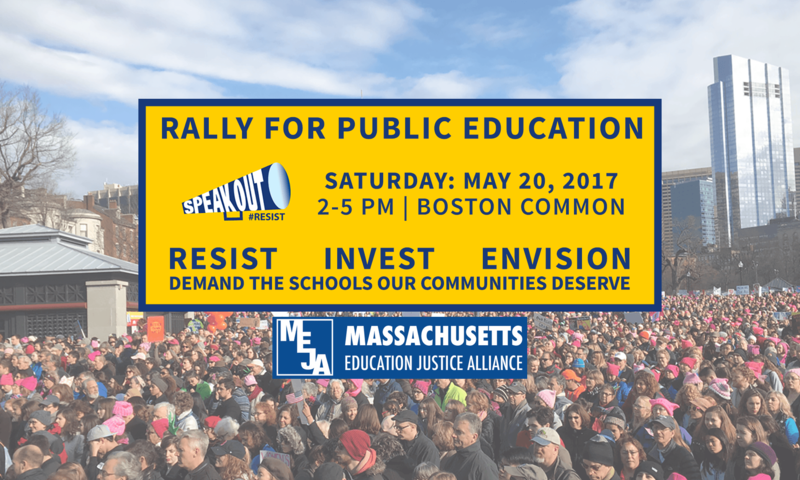 We must stand together to resist the plans and policies of Trump, Secretary of Education Betsy DeVos, and Governor Charlie Baker. It is time to demand the public schools and colleges our communities deserve. By uniting our struggles, we can build a movement for racial and economic justice and fight more effectively for a just society and future.